336 pages | 31 B/W Illus. 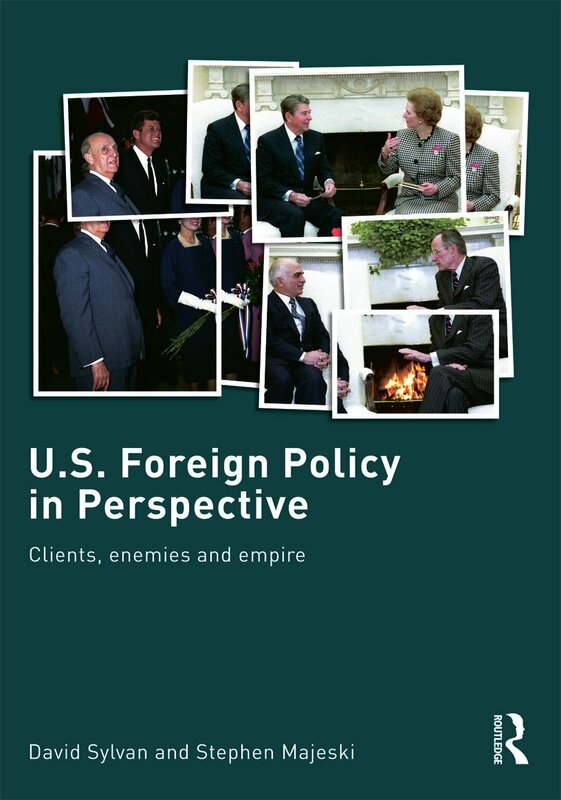 This book has a dedicated website at: www.us-foreign-policy-prespective.org featuring additional case studies and data sets. David Sylvan is Professor of International Relations and Director of publications at the Graduate Institute of International Studies, Geneva. Previously he was Associate Professor at the University of Minnesota and Associate and Assistant Professor at Syracuse University. His research and teaching interests are foreign policy analysis, intervention, international relations theory, sociology of international relations, social theory, topics in political economy, computational modelling and research design. Stephen Majeski is Professor of Political Science and Department Chair at the University of Washington, Seattle. His research and teaching interests are international relations theory, international conflict and cooperation, U.S. foreign policy, foreign policy analysis, mathematical modeling, computational modeling, agent-based modeling, experimental analysis and statistics.